A sequel to Netflix’s breakaway hit To All the Boys I’ve Loved Before is officially happening, and it represents a major new path forward for the film industry. Netflix confirmed the sequel on December 19, releasing a short video in which To All the Boys stars Lana Condor and Noah Centineo cutely discuss watching Netflix’s The Christmas Prince and its sequel (synergy!) before announcing that they’re working on a sequel of their own. The video also further teases the arrival of John Ambrose McLaren, a character from the books the To All the Boys franchise is based on who shows up in the post-credits tag of the first movie. The announcement of the sequel arrives on the heels of last month’s news that Netflix has brokered a multi-picture deal with Paramount, with Paramount supplying Netflix with original movies in exchange for a part of the revenue stream. The move signals a major shift in strategy on the studio’s part; while other studios are keeping their properties off Netflix so they can develop their own proprietary streaming services, Paramount is essentially sleeping with the enemy. And though it remains an open question whether the deal will pay off for Paramount and represent the new status quo, with studios essentially becoming content suppliers for streaming giants, it is key to the production of the To All the Boys sequel. To All the Boys was not produced by Netflix, but by the production company Awesomeness, which was acquired by Paramount parent company Viacom this summer. Netflix distributed the movie as part of its “summer of love” push to revive the rom-com, and it ended up breaking records, becoming one of Netflix’s “most viewed original films ever with strong repeat viewing.” So appetite for a sequel would have been predictably high at Netflix, but Netflix needed to make a deal with Viacom to get their hands on it. As for what the sequel might be about? Well, To All the Boys is based on a trilogy of novels by Jenny Han, and the first movie covered roughly the first book and a half. Odds are pretty good that the sequel will pick up where the first movie left off, about halfway through P.S. I Still Love You. 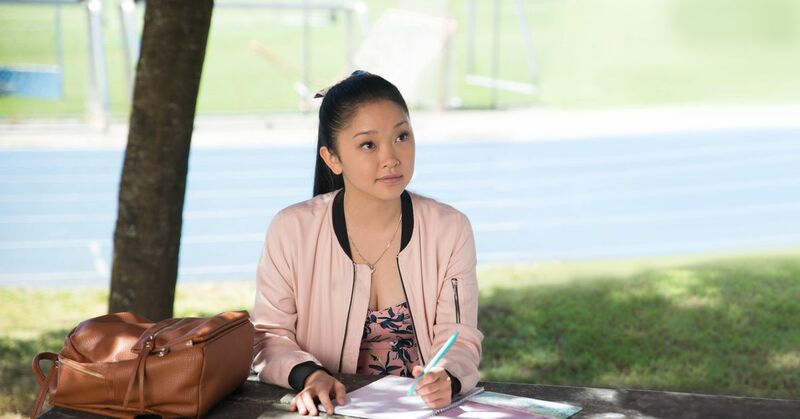 In an interview with Entertainment Weekly in August, director Susan Johnson hinted that she’d like to explore the love triangle that emerges halfway through that volume, when John Ambrose McLaren, one of the recipients of Lara Jean’s love letters, emerges as romantic rival for Lara Jean’s affections. Netflix’s announcement of the sequel — in which Condor receives a phone call from an unidentified caller and exclaims, “You’re gonna make the perfect John Ambrose!” — suggests that idea remains on the table. So far, no further details about the sequel have been released, but we’ll keep you updated as we learn more. And when the sequel comes, we’ll be waiting for it to spin us around by our collective back pocket. Updates: This article has been updated with the news that a To All the Boys sequel is officially happening. An earlier version of this article described Awesomeness Productions as Will Smith’s production company. That was incorrect: Will Smith’s production company is Overbrook Entertainment, which co-produced To All the Boys I’ve Loved Before with Awesomeness.